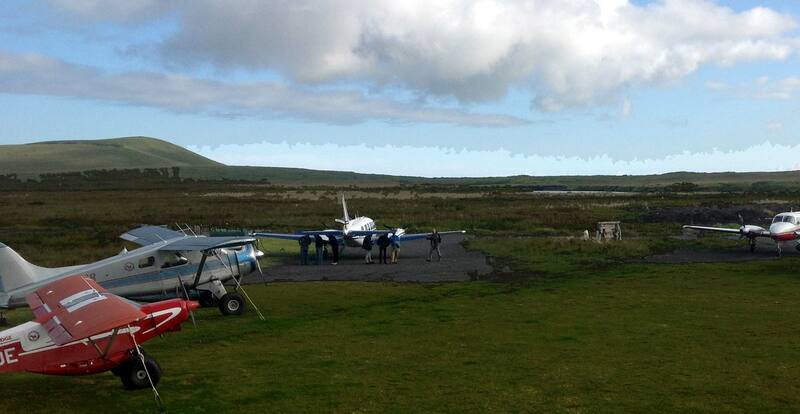 The scenic round trip flight is included. 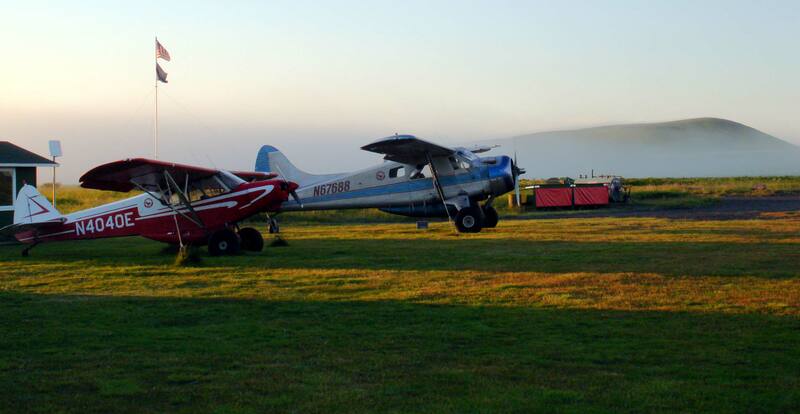 Our flights departs twice weekly from Anchorage’s municipal airport, Merrill Field. 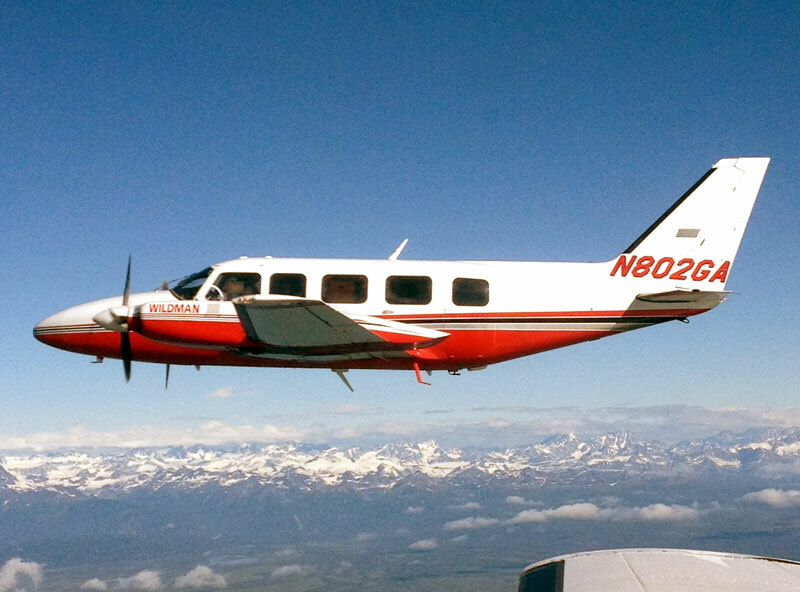 For your safety and comfort we fly reliable, twin engine aircraft which take us through both Lake Clark and Katmai National Parks, along the Alaska Peninsula National Wildlife Refuge then lands on our private runway at Wildman Lodge, parking near your cabin door. 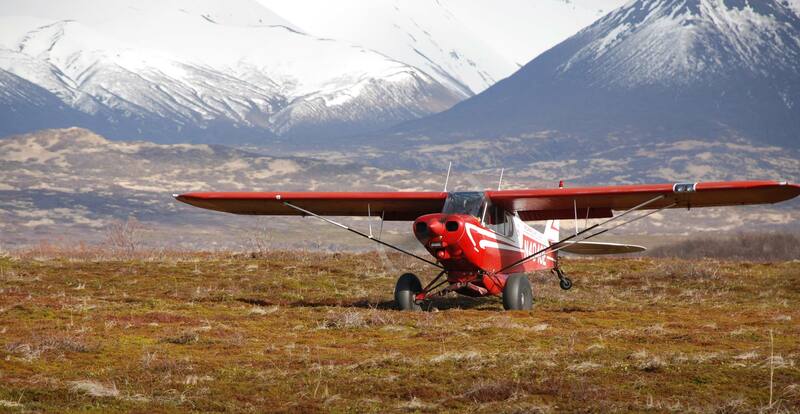 This flight is included in your 4 day – 3 night Walrus and Wildlife tour, and is worth the price of admission by itself. 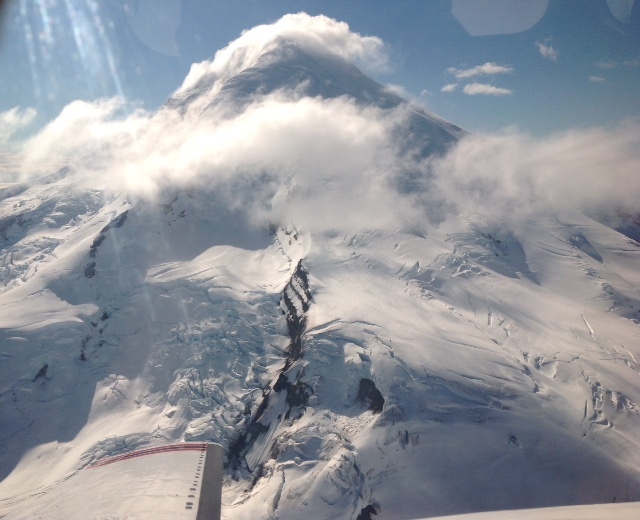 You will travel some 200 mph, through the spectacular Alaska Mountain Range as towering peaks and glacier shrouded volcanoes pass by the wingtips. 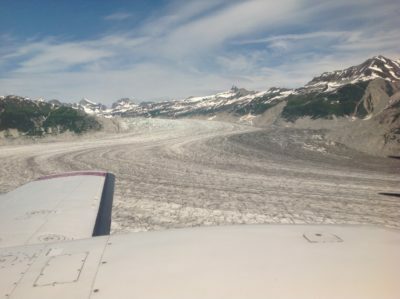 You will travel southwest from Anchorage across Cook Inlet, named for the famous mariner and explorer Captain James Cook, who never enjoyed this view as you travel some 500 miles without crossing a single highway, fence or power line enroute to Wildman Lodge. 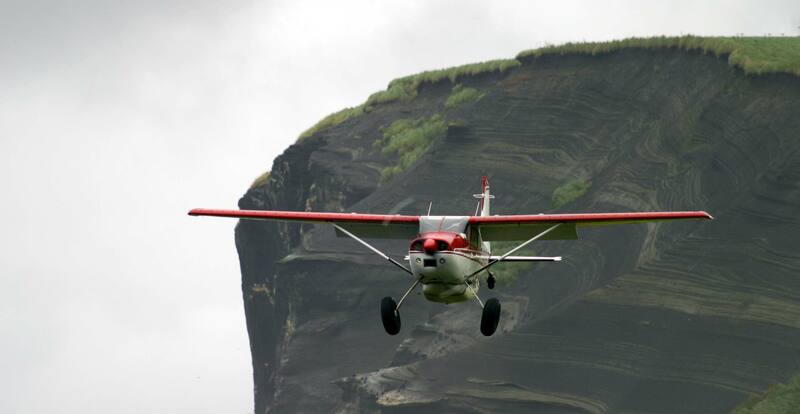 This spectacular flight takes you through the glacier filled valleys of Lake Clark National Park and volcanic Katmai National Park, home of the “Valley of 10,000 Smokes”, then along the Alaska Peninsula Wildlife Refuge where you will arrive in front of your cabin at your final destination, Wildman Wilderness Lodge and Alaska’s premier Pacific Walrus and wildlife tour. Our route takes us over mile after mile of ancient glaciers, seemingly endless rivers of ice which meander off the towering mountains, creeping slowly toward the valley floors to become rivers, eventually flowing to the sea. We will pass enchantingly close to monumental glacier shrouded volcanoes as we pass through the famous “Ring of Fire.” Many, like Mt. Redoubt, Mt. Spur and Mt. Iliamna are actively venting steam and occasionally spewing plumes of gray volcanic ash. No where else on the planet can you witness such awesome sights.